A completely new concept in the history of the Transilvania IFF΄s key visuals brings together, in a moment of glory of the Romanian cinema, director Cristi Puiu and one of his favorite actresses. Luminița Gheorghiu, internationally acclaimed for her role in Child΄s Pose (directed by Călin Netzer), the Berlinale΄s 2013 Golden Bear, is the face of the 12th edition of Transilvania International Film Festival (May 31 – June 9, Cluj-Napoca). The actress will receive the Excellence Award during the Closing Ceremony. The starting point was the reunion of two defining personalities of Romanian cinema, director Cristi Puiu and actress Luminița Gheorghiu. I think that their chemistry is fantastic and, consequently, we gave Puiu carte blanche in creating this year΄s image campaign, official poster and festival promo. It is not a traditional campaign in the ad sense of the word, but rather a series of scenes and snapshots of pure cinema, says the artistic director of the festival, Mihai Chirilov. Luminița Gheorghiu΄s career, which spans over 3 decades, is directly connected to Puiu΄s, who cast her in all his films: Stuff and Dough (2001), The Death of Mr. Lăzărescu (2005) and Aurora (2010). The role of the medical assistant in The Death of Mr. Lăzărescu brought her the Best Actress award in Namur IFF and the Best Supporting Actress award from the LA Film Critics Association. The official poster, conceived by Cristi Puiu based on a photo taken by Luchian Ciobanu during the shooting of the festival promo and executed together with Iulian Puiu, gets its inspiration from a scene in Alexandru Tatos΄ 1982 film Secvențe, in which Luminița Gheorghiu played a supporting role. I΄ve discovered Luminița Gheorghiu in "Moromeții", but, later on, I΄ve seen her in "Secvențe", which was made before "Moromeții". Our poster is based on a scene in "Secvențe", the only scene in which Luminița actually appears. Mircea Diaconu invites the filming crew back to his place in order to show them his pencil sharpener collection but, enraged with his wife, he punished her buy locking her up in a room. When he finally unlocks the door, we see Luminița sitting on the margin of the bed. Obviously, the poster is a lot more vividly colored and filled with symbolic elements, but it still reminds us of that specific moment in particular and of cinema, in general, says director Cristi Puiu. It was a huge surprise and I felt really honored to be the chosen one. And my reunion with Cristi Puiu was very pleasant – we΄ve already made three films together, we know each other very well and I think we΄ll continue to work together until life will separate us, says Luminița Gheorghiu. The actress had memorable roles in Moromeții (1988) by Stere Gulea and Code Inconnu (2000) by Michael Haneke. She worked with Lucian Pintilie, Alexandru Tatos and Radu Mihăileanu, while also appearing on stage as part of the Bulandra theatre company. She also appeared in 12:08 East of Bucharest by Corneliu Porumboiu, 4 Months, 3 Weeks and 2 Days by Cristian Mungiu or The Yellow Smiley Face by Constantin Popescu. 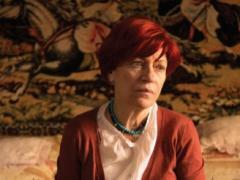 In 2010, she won the Gopo award for Supporting Actress in Francesca by Bobby Păunescu. 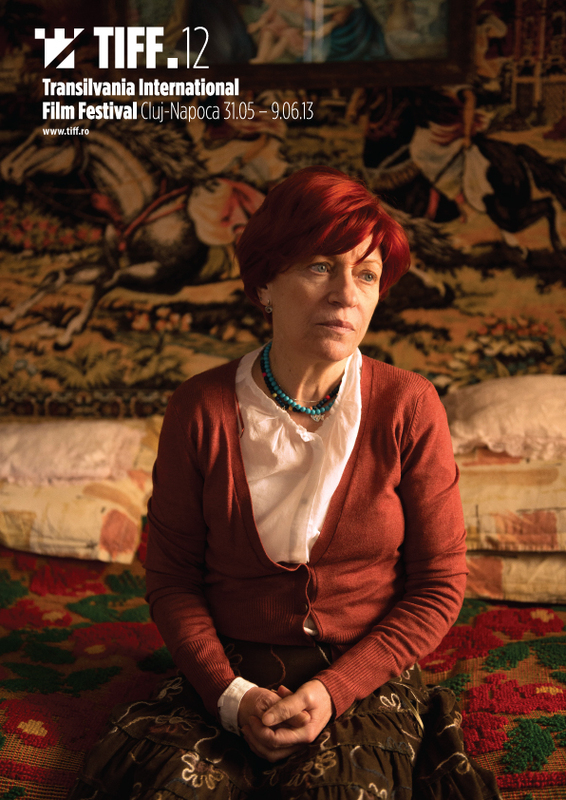 Luminița Gheorghiu is the protagonist of I΄m an Old Communist Hag by Stere Gulea, which will premiere this year.